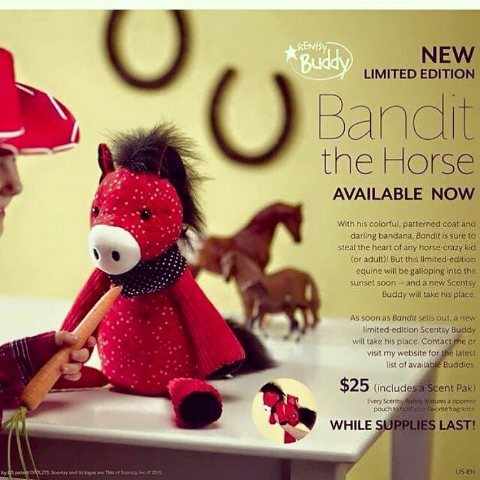 I am excited to share that Scentsy Fragrance has a new limited edition Scentsy Buddy: Bandit the Horse. It's super cute and fun! Order it online - Click Here!